I’ve seen this happen countless times. Some clients repeat the mistake over and over. How can you effectively plan a direct mail project if you’ve allocated a budget half of what’s required to execute your project? Obviously you can’t. So what happens next is all too common, one or more of the project components must change or be dropped. Now you’re faced with tough decisions. Some clients opt to reduce the size of their mailing, randomly eliminating records from their list. Others will eliminate inclusion of a personalized letter. I’ve seen clients completely scrap the entire design, changing from a brochure with a personalized letter in a matching, personalized envelope to a self-mailer or from a self-mailer to a postcard. If you’ve put a lot of time and thought into designing your piece but have not determined how much it will cost to produce, you have a problem. Get price quotations for all your options, including estimated postage. The goal is to get your mailpiece into the hands of your best possible prospects. Especially with consumer lists, there are numerous demographic criteria selections available to more narrowly define your target audience. Go beyond geography. Consider gender, age, income, homeowner vs renter, presence of children, and more. Too many clients select their prospect list by nothing more than geography. That may work for large volume mailings that market a product or service with universal appeal, but even the biggest corporations with massive marketing budgets have learned it’s more cost effective to mail 250,000 pieces to a more narrowly defined audience and garner a 4% response rate than to mail 1,000,000 pieces to everyone that generates a 1% response. Both result in 10,000 responses, but the mailing of 250,000 pieces cost 75% less. 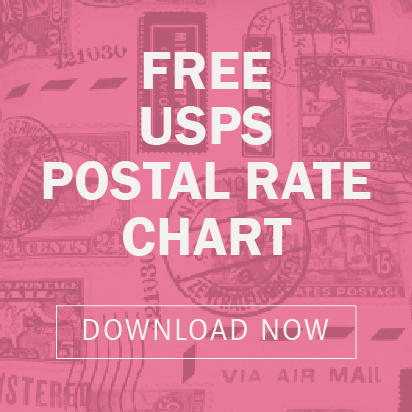 The trend away from mass mailings to smaller, highly targeted mailings continues to prove a wise strategy. Going hand in hand with this trend is the increase in personalization made possible with modern technology. Response rates increase in correlation to the frequency of recipient name usage within the piece. There are two reasons why. First, according to studies people like to see their name in print. Second, personalization helps create a sense of one on one conversation. Your mailpiece speaks direct to your prospect, making a connection and improving trust. Consumers are interested in what’s in it for them. They don’t care about how impressive your company or products may be. Your focus should be on your prospect. If your piece is printed conventionally using offset printing you have personalization options available using laser and inkjet equipment. Intelligent inserters read 2d barcodes to match personalized components during assembly so John Smith doesn’t receive Jane Johnson’s letter or card. Digital print technology makes personalization with variable data and variable images possible anywhere in the printed piece. You can do so much more than a personalized salutation. If you are mailing to your house list you could incorporate the data you have for each person into the copy. Consider referencing past purchases, previous charitable gift donations, spouse names, college attended, to name just a few of the numerous possibilities. Your piece should focus on the offer more than the product or service, stressing the benefits over the features. Make the offer prominent in the design and include a call to action. I remember one client who resisted including an offer. He finally relented and agreed to include an offer, but the discount he was willing to offer was paltry in comparison to the high price of his products. My advice was to make it worthwhile for people to respond. He argued his pricing was already a good deal because his product was superior to the competition. His mailing drew an abysmal response. In addition to a strong offer you should utilize powerful, action words that are proven to boost response. Using action words ramps up the excitement. Some of the best performing words and phrases include; Sale, Special Sale, Free, Free Trial, Free Sample, Free Analysis, Free Consultation, Free Demonstration, Free Kit, Buy 1 Get 1 Free, $$$ Off, % Off, New, Now, Best Selling, Save. Direct Mail has a history of success stretching back a full century. If planned properly you can expect to generate a solid response rate and positive return on investment. Direct mail is affordable, but more costly than some other marketing channels, which is why you must eliminate mistakes. 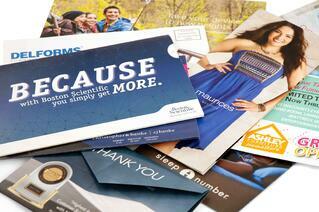 A poorly planned and executed direct mail project is a waste of money. Take time to give serious thought to your budget, list, and design. 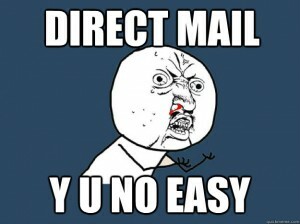 Talk to a direct mail professional and get estimates for all costs.